Democrats and their political allies are uniformly calling for terminating the constitutional rights of their enemies. The Federal Communications Commission will facilitate the government’s prospective sovietization of private sector media with its “Multi-Market Study of Critical Information Needs,” a survey planned for a field test roll-out in 2014, according to a story posted on The Daily Caller today. 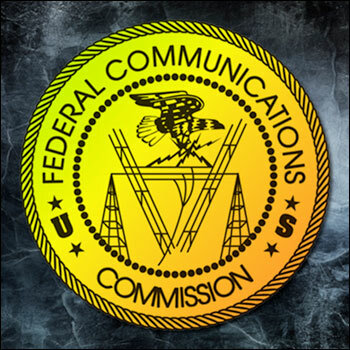 The FCC will “collect a remarkably wide range of information on demographics, point of view, news topic selection, management style and other factors in news organizations both in and out of the FCC’s traditional purview,” writes Tim Cavanaugh. “The airwaves regulator would also subject news producers in all media to invasive questioning about their work and content,” a move on a collision course with the First Amendment. A document prepared by Social Solutions International enumerates the highly intrusive nature of the proposed questioning, including grilling station owners on their political philosophies and asking reporters if proposed stories were rejected by management. The latest effort by the FCC is part of a concerted effort by the federal government and the Obama administration to squelch the political speech of their ideological enemies on the so-called right. 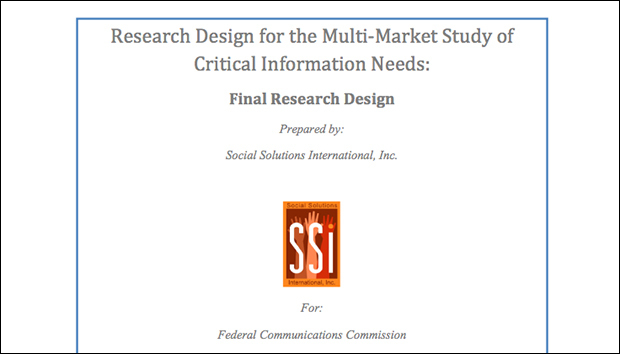 The front page of the intrusive study prepared by Social Solutions International. Following the election of Barack Obama, Cass Sustein, at the time nominated to be administrator of the Office of Information and Regulatory Affairs, Office of Management and Budget (and billed as a constitutional scholar), called for the imposition of the fairness doctrine on the internet and alternative media. Sunstein called his regulatory scheme “libertarian paternalism” (sic) and essentially called for herding opponents of the establishment into electronic ghettos under government supervision. In 2010, we reported on an FCC plan to censor content on the internet. At the time, the FCC planned to regulate “Internet access for the first time under a completely new regulatory scheme (even though they lack the authority to create it). Meanwhile, the FCC would push regulations – cloaked in the heart-warming language of competition and innovation – mandating that your cable box (known as a set-top box) become a ‘broadband gateway device’ controlling access to your Internet, TV, and phone. The FCC has already started looking at set-top box regulations in their National Broadband Plan,” Kelly William Cobb of Americans for Tax Reform explained. Page 25 of the intrusive study prepared by Social Solutions International. Progressive Democrats and their political allies followed Sunstein’s lead and jumped on the bandwagon and uniformly called for terminating the constitutional rights of their enemies. In June of 2010, Infowars.com reported on an effort by a coalition of more than 30 liberal organizations to shut down the First Amendment right of their political enemies. Jesse Jackson’s Rainbow Push Coalition sent a letter to the FCC urging the government to conduct COINTELPRO-like surveillance of talk radio and alternative media on the internet. A few months later, in December, 2010, the Rev. Al Sharpton, who now hosts a television show on MSNBC, demanded the FCC hold McCarthyesque hearings and force radio talk show hosts to answer questions on their political opinions. The latest move by the FCC reveals the tenacity of the government to control the opposition and its use of the internet, especially now as millions of people are moving en masse away from the so-called mainstream media and getting their news from the alternative media.